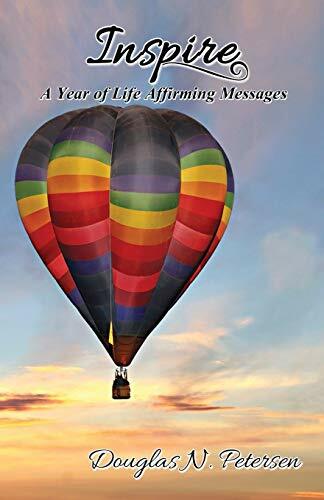 Three hundred and sixty-nine, powerful, inspirational, thought-provoking messages are all in this one volume of life-affirming messages. This is the fifth in a series of books written by Doug Petersen in which he reaches out and touches the lives of thousands. A message for each day of the year plus a few extras for special occasions, each one focusing on a reawakening of the goodness that is within each of us. His fourth book, Inspire: A Year of Daily Inspirational Thoughts, was the 2012 Global Ebook winner for Inspirational/Visionary Non-fiction. Amazon Five-Star reviews of his previous books include: If you are looking for something to spark your passion or create a well of inspiration, then BUY THIS BOOK! ~ LeeAnne. The Author has great insight into the powerful meaning of values. ~ Maggie His words make you step back and think for a moment - are you being kind enough, caring enough and loving enough to each other, including oneself. ~ TammyL Doug has a special gift that he has chosen to share with the rest of us. His uncanny insight and uplifting thoughts and words are an inspiration to all who read this book. ~ Suzanne M. You can tell that Doug has been to dark places in his life but chooses to live in a world of positivity (is that a word? if it isn't I just made it up) and light. He talks about treating other human beings with respect and compassion and not judging others. ~ J. D. Souza "Author" What a wonderful way to start my day! I think this book is appropriately titled. It does indeed inspire. It not only gives you pause for thought; it is engaging, allowing you to move forward with that inspiration. ~ Rose C.